At its launch in 2010 this ground-breaking project was commended by National Geographic Adventure Magazine among its "Best New Trips". In 2014 we received backing from the European Commission and the Large Carnivore Initiative for Europe. 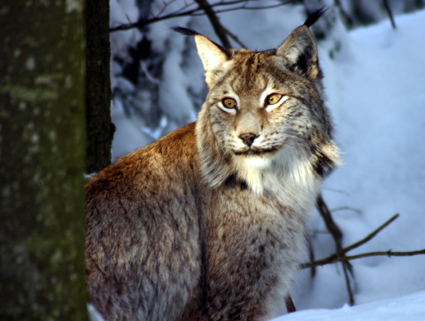 In 2016-2018 we conducted year-round monitoring of wolves and lynx in cooperation with the State Nature Conservancy of the Slovak Republic. Our ongoing independent research is vital to maintain balance and objectivity. What is the work and why is it needed? While some environmentalists have claimed that the annual winter hunting season leaves less than 150 wolves in Slovakia, official game statistics list more than 10 times this number! And it's a similar situation with lynx. Are predators being hunted towards extinction, as alleged by environmentalists, or becoming too numerous, as hunters claim? 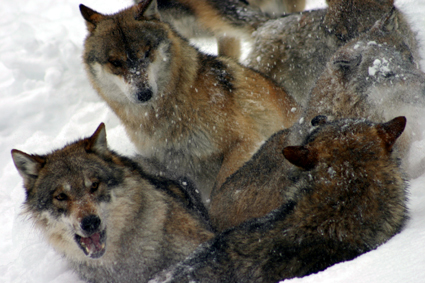 The dispute shows the clear need for reliable, objective methods to estimate numbers of predators. White Wilderness brings together international volunteers and local people, nature conservationists, foresters, landowners and hunters. 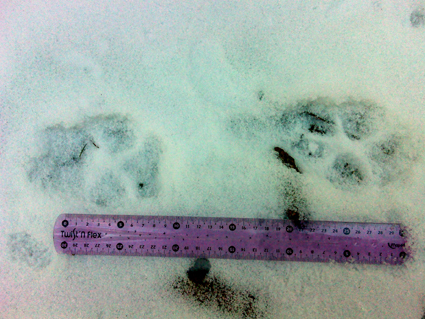 Under the close supervision of experienced project staff, research team members track wolves and lynx, check remote cameras and collect samples for DNA analysis. This allows us to reliably estimate the number of animals in the area as well as to detect changes which could require urgent intervention. Lying between the Tatra National Park to the north and the Low Tatras National Park to the south, the spectacular region of Liptov is a real treat for lovers of nature and the outdoors. Around 50% is covered by forests, which reach up to 1,500m (5,000 feet) above sea level. Beyond that is a zone of dwarf pine and higher still are alpine meadows. 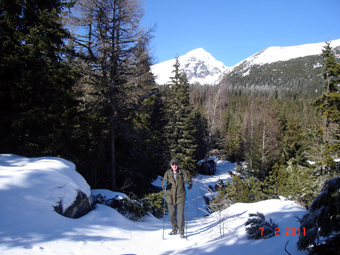 In the winter, much of the wildlife, including carnivores and their prey, move to the foothills and valleys to avoid the deepest snow, and it is here that most of our fieldwork will be focussed. 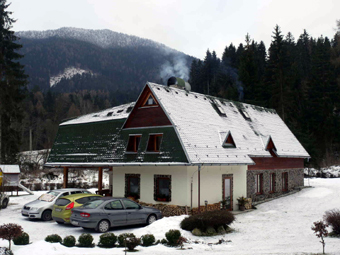 Groups stay in a fully rennovated, family-run guesthouse with showers and modern amenities, situated in wooded surroundings at the edge of Nízke Tatry (Low Tatras) National Park. The shared bedrooms sleep 2–4 people each and there is a dining/common room. Meals provided on field days will be: buffet breakfast, packed lunch, cooked dinner. Participants make their own way to the meeting point at Bratislava main train station at midday on Saturday. From this point until drop off at the same place the following Friday afternoon, all necessary in-country travel, accommodation, food, equipment and training will be provided. All participants must take out adequate medical and travel insurance. Please read our full Terms & Conditions. 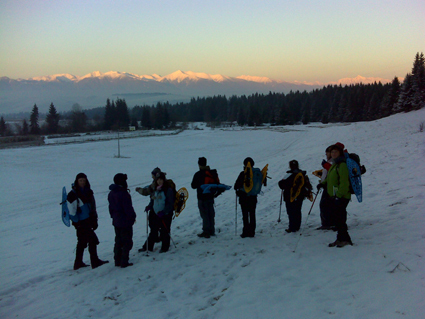 You should be prepared to walk 10-20 km per day in hilly to mountainous terrain with snow cover. 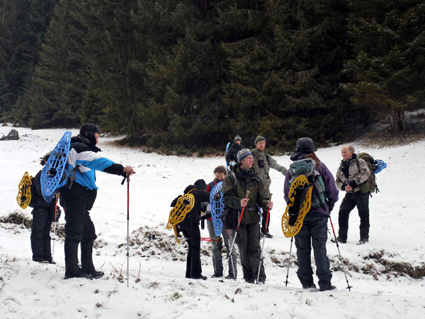 On some routes, snow shoes may be required and will be provided. Don't worry if you haven't used them before, it's not difficult and you will be given instruction and time to practice. The project is funded almost entirely by contributions from volunteers. To join the project for 1 week we ask for a contribution of €890, which includes 6 nights' accommodation, meals, equipment, training, lectures, field work and in-country transport. Stay for a second week and receive a 10% discount, take part for all three weeks and you'll get 20% off! If you are a student or work for a recognised wildlife charity or not-for-profit organisation, we may be able to offer discounted rates. Contact us for details. Places are limited, so we advise you to book early to avoid disappointment. Message for recipient: "Contribution to White Wilderness (your name)"
After we receive your completed form and deposit payment we will confirm your booking and send you a Volunteer Information Pack with full details of the project and your role within it. We will then contact you around 2 months before you are due to join the project to request the balance of payment. Please note that we are a conservation charity with limited resouces to enter into lengthy correspondence and administration. If you would prefer to have individual support available before travelling to Slovakia, please consider making your booking online through our partner agency: Working Abroad. The project is run with the support of The Wolves and Humans Foundation, the UK's only charity dedicated to helping wolves in the wild. SWS works closely with local communities: the State Nature Conservancy, national park authorities, foresters, private landowners and hunters as well as schools, universities and the general public are encouraged to take on active roles. 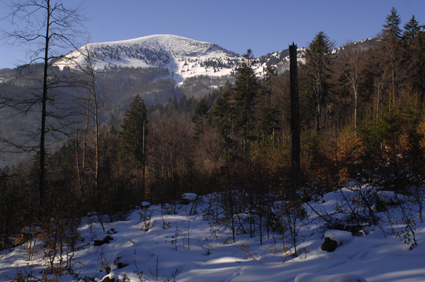 We also cooperate with colleagues in neighbouring countries sharing Carpathian carnivore populations.